This workshop is designed to help you refine your existing supervisory/employee leadership skills for more effective outcomes with and through others. Managers, supervisors, and employees who wish to strengthen their ability to communicate with others more effectively. Group size: from 15 to 24 people. This course is ideal for greater communication consistency within entire departments or even company-wide training. Quick and helpful Self-Assessments and group hands-on practice. 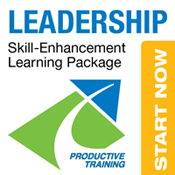 Program investment for this Instructor-Lead, interactive workshop is $__,000 plus expenses. is the illusion that it has taken place”.